There is no greater indication as to the quality of Drogas Light than what we heard the day of its release from the man himself. 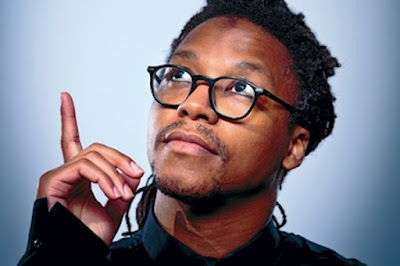 Lupe Fiasco, in a move only he could pull off, reviewed his own album at length. Amongst the serious remarks was the hilarious juxtaposition of incidentally talking about himself in the third person and slip-ups where the first person emerged. However, the greatest point to be deduced from this written rebuttal of the self was, as with any review, the score. According to the creator himself, Drogas Light is a 7/10. Safe to say any ill-conceived thoughts towards Fiasco's own arrogance can finally rest. Unlike similar artists like Kanye West or Kid Cudi, who think every work they create is a masterpiece, Fiasco rejects his own superiority complex by being reasonable, self-aware, and down to earth. However, that's not to say there isn't a motive behind this move. Back when Fiasco announced the release of three albums in 2016, only to come through on zero, Light was marketed as a collection of outtakes, throwaways not good enough for the ensuing Drogas set to release thereinafter. If the man who made it gave it a 7, just imagine how unremarkable it actually is. Implying that this album would be bad is of no surprise to those who've followed its sloppy release since day one. While it's not definitively the worst song here, 'Pick Up The Phone,' the album's lead single, gave a clear indication as to the sound and style we should brace ourselves for. In his review, Fiasco declared Light a "refinement on Lasers. Period." That comparison is apt, but also perplexing given the artist's public outcry over the quality and handling of that record back in 2011 by Atlantic Records. Easily Fiasco's worst album, the Pop Rap dud revealed to the masses what would happen had Lupe gone mainstream. With Light returning to that field for inspiration, the question must be raised; has Lupe rescinded his beliefs on the merits of Lasers, or is he releasing Light purely as a means of continued exposure? Given the 7/10 score, the latter is likely. And there's nothing inherently wrong with that, if the artist and his fans are comfortable with another ugly nick being added to an otherwise acclaimed discography. 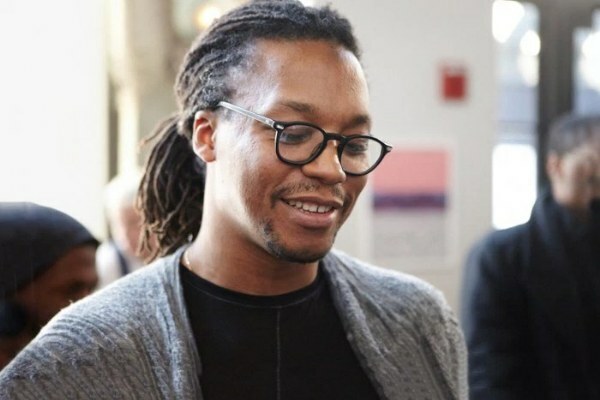 While I wasn't a huge fan of his latest LP, Tetsuo & Youth, there is no question the 2015 effort gave listeners a tremendous sigh of relief in regards to Lupe's talents. Comparing Light to Lasers is really all that needs to be said here, without adding substance. The record is bad. While there's a few beats that would be appealing to a hyped crowd, something Fiasco's best songs aren't known for, almost every other aspect struggles to sound appealing. Yes, this includes Lupe's rapping. More or less structurally competent, finding spots where he fits the tone quite well, the lyrical themes and baseless remarks are of little to no value for his intellectually-thinking listeners. The man even said so himself: "Anything that felt too jazzy or too lyrical or conceptually dense was not used." In essence, Light is purposely fluff. An interesting dilemma in that we're receiving these stereotypical themes from a rapper whose clearly capable, past and present, of much more. When he's not fulfilling the necessary 16 bars lazily on 'NGL,' 'Promise,' or 'City Of The Year,' he's riffing on insanely over-the-top tales that have no overarching significance. 'Jump,' 'Pick Up The Phone,' and 'It's Not Design' are some clear examples of these, with two eventually taking things to intergalactic space societies, for some odd reason. Those two, along with Hip-Hop braggadocio, are essentially the main topics Fiasco entertains here, failing to make the hour of time interesting. However, even though his decision-making within the songs has seen better days, it's actually Fiasco's decisions in preparation that cause Light's ultimate demise. To rebuke the actions of Lasers years ago was correct. The sound he approached there was abysmal, and even carried over a bit on 2012's Great American Rap Album. Light is littered, top to bottom, with these extra cheesy Pop ballads that completely unravel the second Lupe, or a singing guest, appears in the hook. There's no denying flashes of catchy brilliance emerge every so often in his backlog ('Daydreaming' and 'Adoration Of The Magi' just two examples), but the vast majority continually stumble until their legs turn bloody. 'Law,' 'Wild Child,' 'Made In The USA,' 'Pick Up The Phone,' ...the list can keep on going. They're all embarrassing, some even hard to get through. That's best seen on 'High,' which has a hook with ear-curdling vocal effects I can't see anyone enjoying. Not surprisingly, the ballads that suffer are provided by no-namers. Ty Dolla $ign on 'NGL' and 'Kill' does a fine job in both affairs. There are a couple bright spots though. They're few and far between, especially the album's best and second best tracks, which find themselves polar opposite each other. 'Dopamine Lit,' from the beat to the verses, is thoroughly entertaining and clearly made as a way to kickstart the album. An outtake from a previous affair this is not. And while it's not exclamatory, 'More Than My Heart,' with an admirable chorus and earnest stylings about mother love, is about as good as a Lupe Fiasco Pop Rap track can ever be. Lastly, I'd have given high praise to 'Jump,' with its bouncy beat and outrageous story, had the production and flows not been a total ripoff of Lil Wayne's 'A Milli.' If we include 'Kill and 'It's Not Design,' which are decent in execution despite the original idea being flawed from the start, that's about as far as the Light praise can go. Whether it be the abnormal Drake impersonation on 'Promise,' Rondo's horribly out of focus verse on 'City Of The Year,' the phoned in appearances of Rick Ross and Big K.R.I.T. on 'Tranquillo,' or the subpar Soundcloud beats on numerous cuts, Drogas Light doesn't slouch with its brand of ho-hum music. Outtakes or not, sometimes the vault's better left closed.